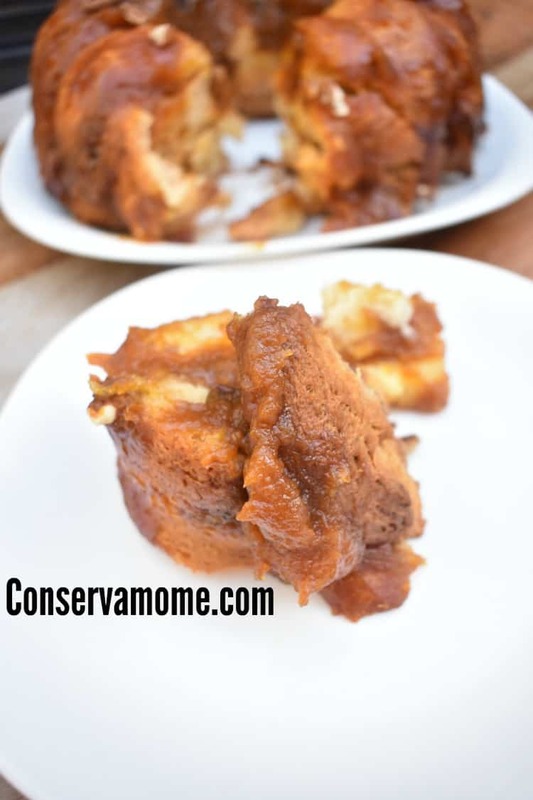 This delicious Pumpkin Pie Monkey Bread recipe is the perfect addition to any delicious Fall breakfast or brunch. Saturday Morning Breakfast is kind of a big deal around our house. It’s the one day we all just start the day off slowly and just enjoy not having to get anywhere or be anywhere. 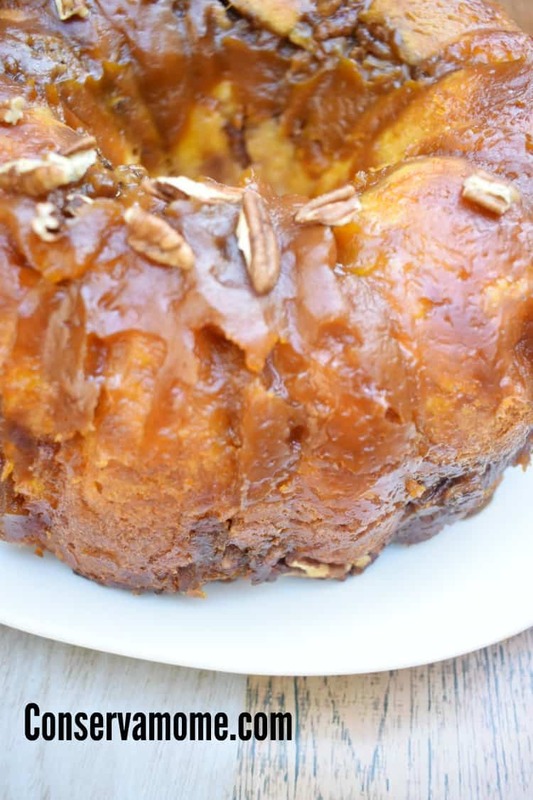 During the fall this delicious pumpkin pie monkey bread becomes a staple during our morning breakfast. 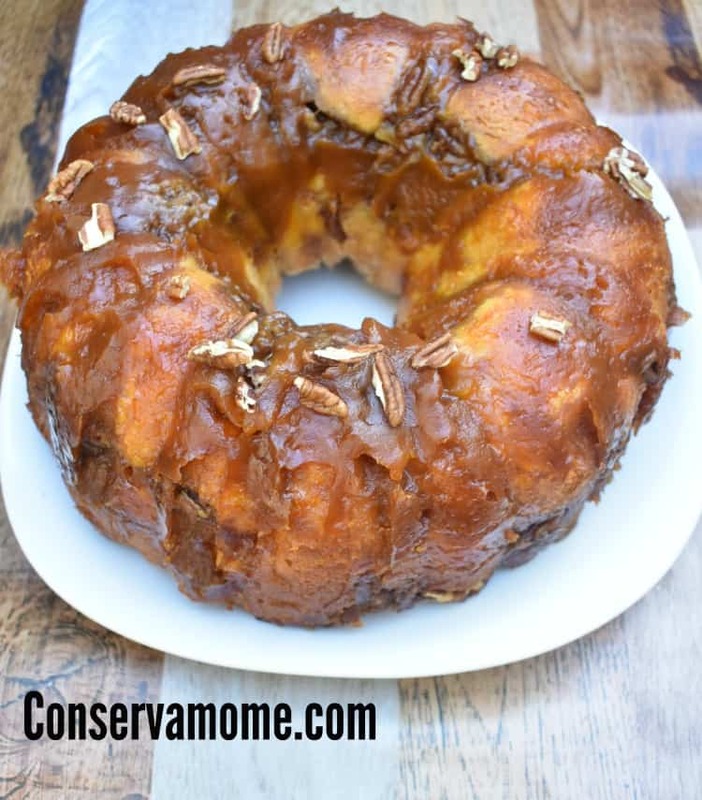 With delicious flavors and ooey gooey deliciousness this pumpkin pie monkey bread will be a huge hit. So head below and check out how easy it is to make this delicious breakfast treat! Spray a 12-cup Bundt or tube pan with non-stick cooking spray. 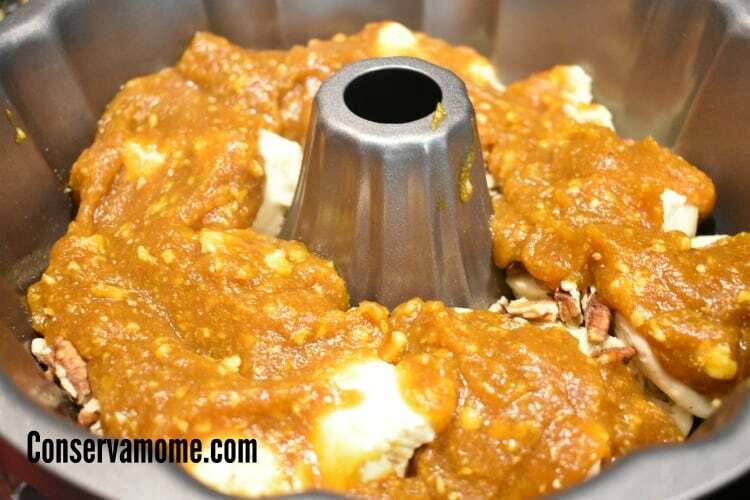 In a large mixing bowl, combine 1 cup brown sugar, pumpkin pie puree and 2 teaspoons pumpkin pie seasoning and the butter. Mix until ingredients are combined. Doesn’t it look simply amazing? I enjoy it with a huge cup of coffee but the kids wash it down with a giant glass of milk. It’s sweet and so gooey and perfect for a crisp fall day. 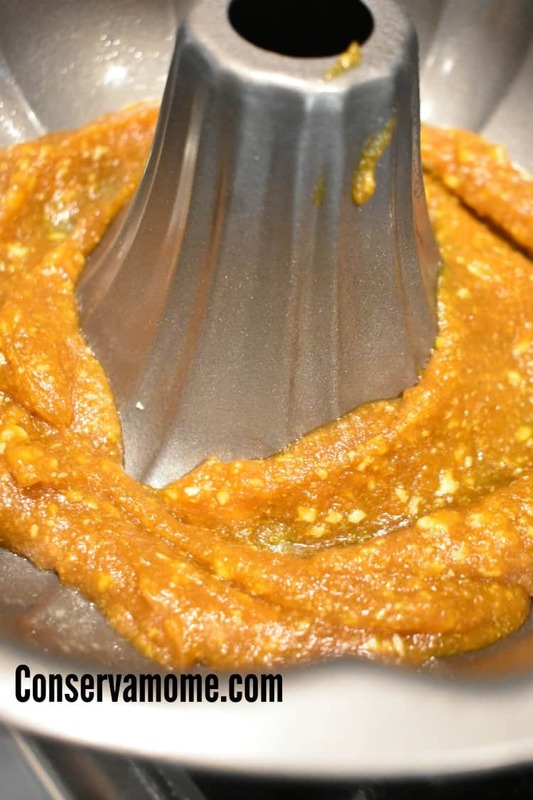 Looking for more delicious Pumpkin flavored treats? 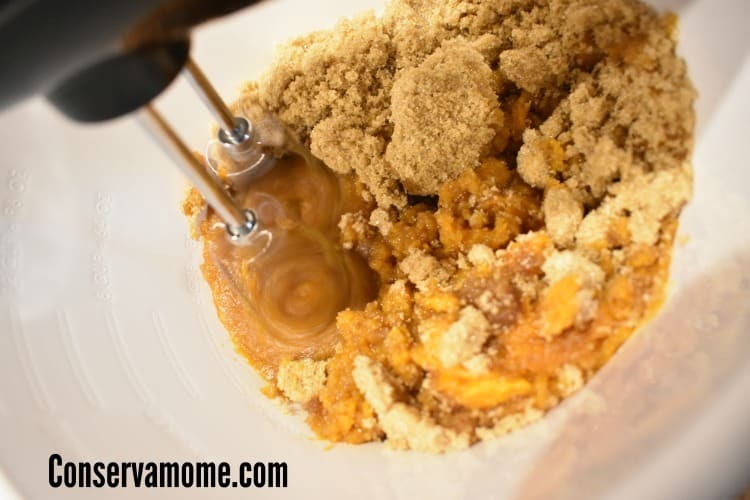 Check out this delicious recipe for Pumpkin Spice Sugar cookies. Sounds great but as another reviewer said……..when do you use the second roll of biscuits?? This would be a delicious and festive cake for the holidays. 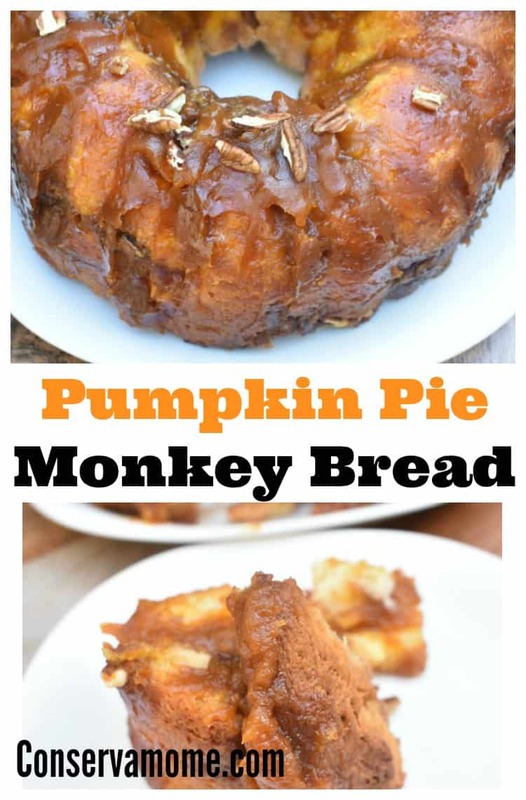 (pumpkin pie monkey bread recipe) This is a recipe that I would enjoy making for my family for this upcoming Thanksgiving holiday. It sounds so good to me. Something is wrong. You say to add one can of biscuits quartered but don’t say anything about the 2nd can. I’ve been searching for some great Fall recipes and this sure fits the bill. Looks easy and delicious! Oh my goodness this looks delicious. I shared it on facebook with my daughter in law that loves everything pumpkin. 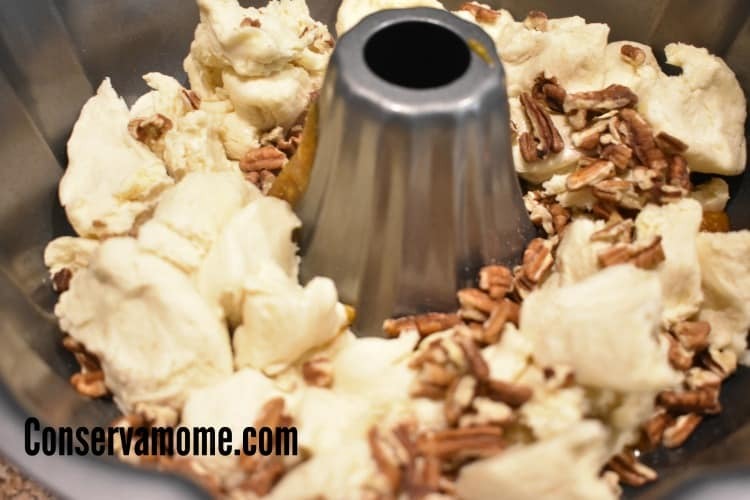 Fall is just my favorite season and I bet this recipe makes your house smell just as good as the recipes tastes. Thanks for the recipe. This is a perfect way to start a weekend. Love the pumpkin flavor. That looks SO good! I love summer so much I always try to deny the onset of fall as long as I can….but the weather is changing and so are the leaves, so I’ll be ready to try making this soon.